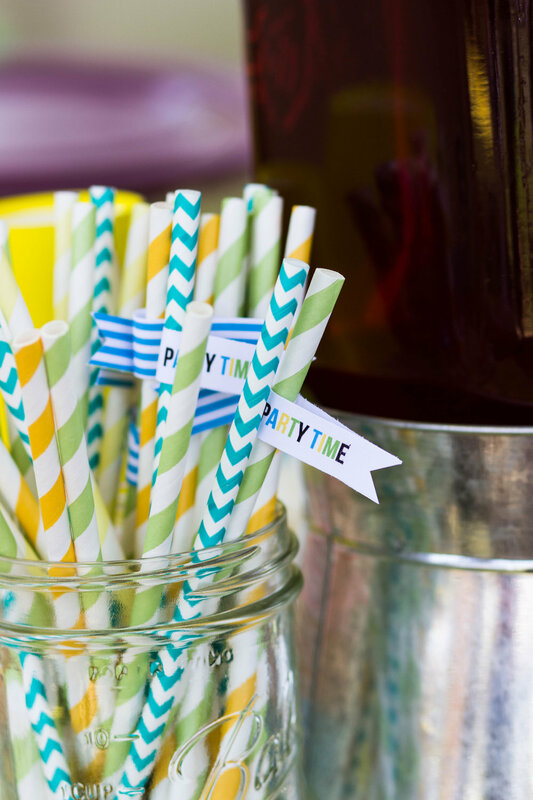 Today we're sharing a party from this past summer, that we just LOVED creating. Nolan's Pineapple Beach Bash. This event was so bright and fun. The food was all Pineapple and Ocean themed, as the event was held at the Beach. The kids went home with Pineapple Party Cups and fun sunglasses. It was a HOT day. April in Okinawa is the beginning of brutal summer. The "Beat The Heat" drink station was a must! I just love this drink holder that the birthday boy's mama had stashed away. How cute are these customer review photos! Those pineapple sunglasses are awesome! Thanks to Darrah and Andrea for sharing how they styled this party theme. The birthday boy's mama also custom created the favor bags. She decorated plain yellow goody bag to look like pineapples. They were perfect! #allthehearteyes. You can get our printable favor sign FOR FREE (!!!) here, or by clicking the picture above. The download includes a 4x6" and 5x7" version. If you need a custom sign, you can always message us on Etsy and we can create a custom listing for you. Hawaiian Chicken Kabobs or Sliders. This recipe from Cooking Classy is delicious! Glazed Donuts with construction paper leaves to look like a Pineapple. As these are free files, to be used for personal use only, we do not individually email the JPEG's out as it is time consuming and takes away from our business work. If you're having trouble downloading the zip folders, a quick google tutorial will usually help you out. Thanks for your understanding! You Da Mom. Free Mother's Day Card Printable.